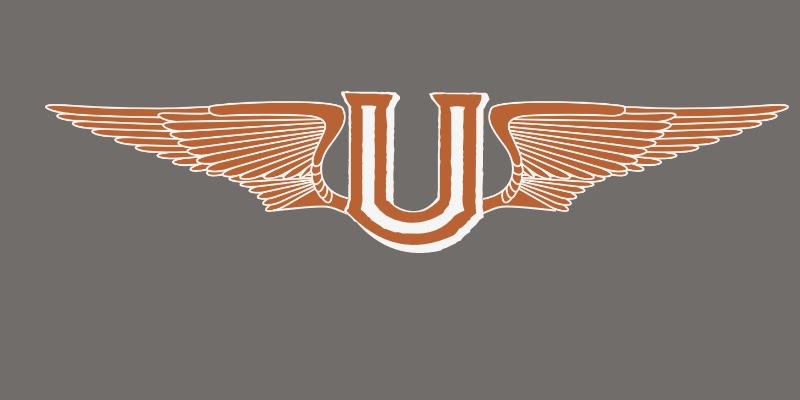 These are the designs submitted for the San Antonio Wings franchise. 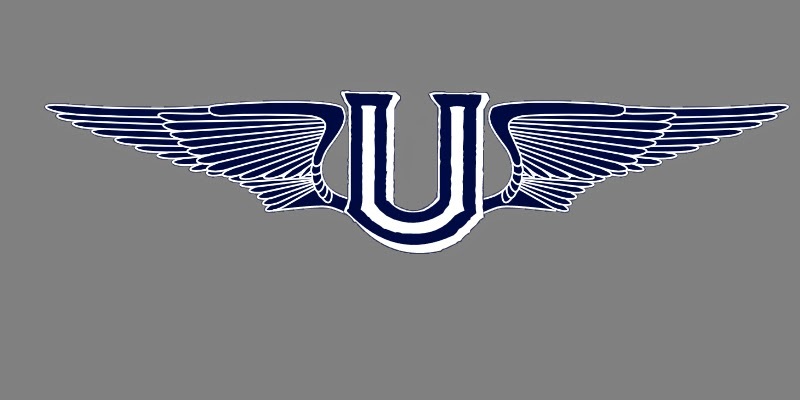 Colors are navy, white and blue. 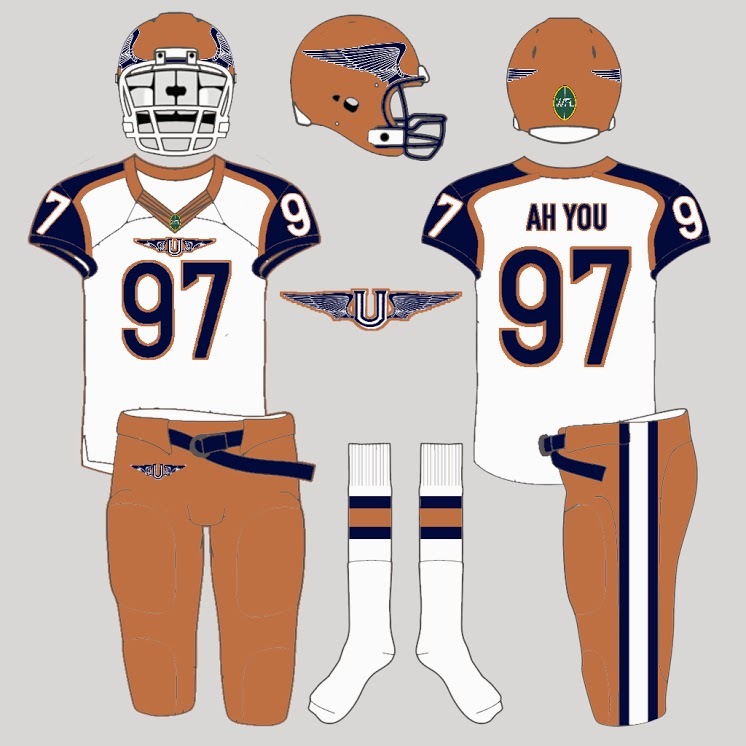 Wanted to keep the wing design to the helmet, changed to a dual color design. Added the old logo as a patch to the collar. 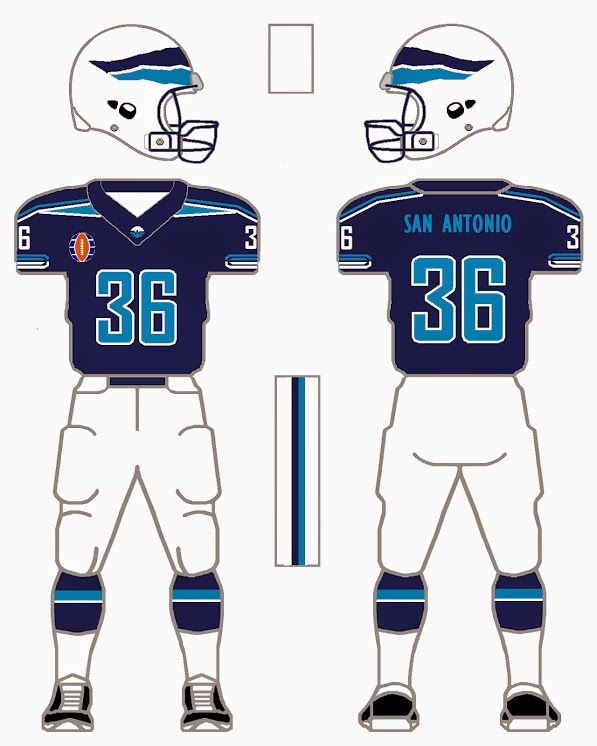 The San Antonio Wings: I updated the helmet wings and added helmet numbers, providing an updated, sleek look. 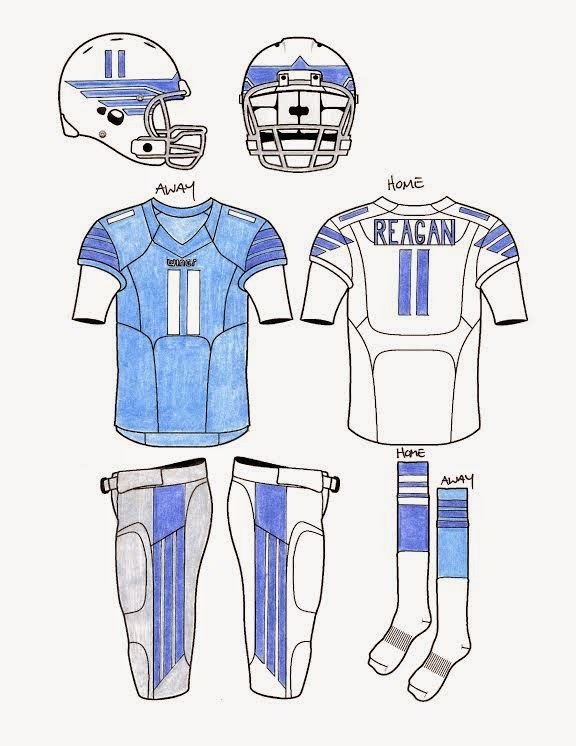 The sleeve and pants stripes emulate the helmet striping without going overboard. 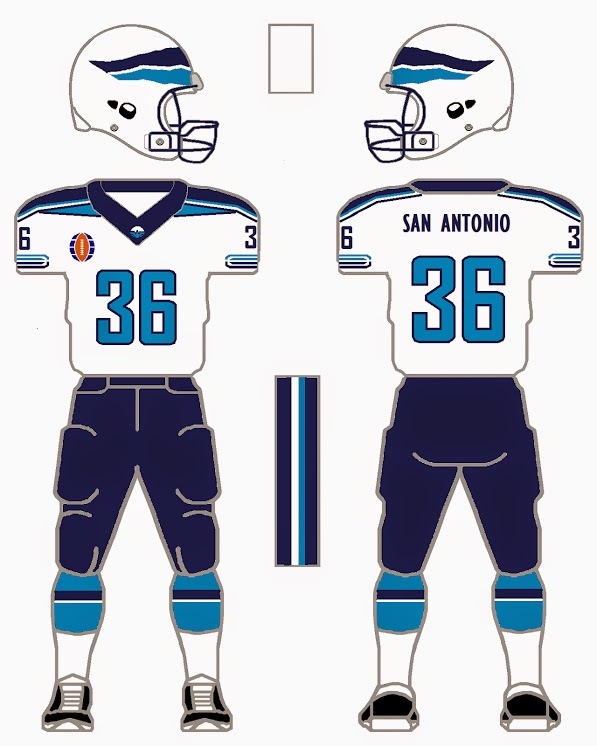 The color scheme screams Dallas Cowboys to me but the powder blue is a nice look in any league and was missing from any team represented. The pants can be swapped and go with either top. 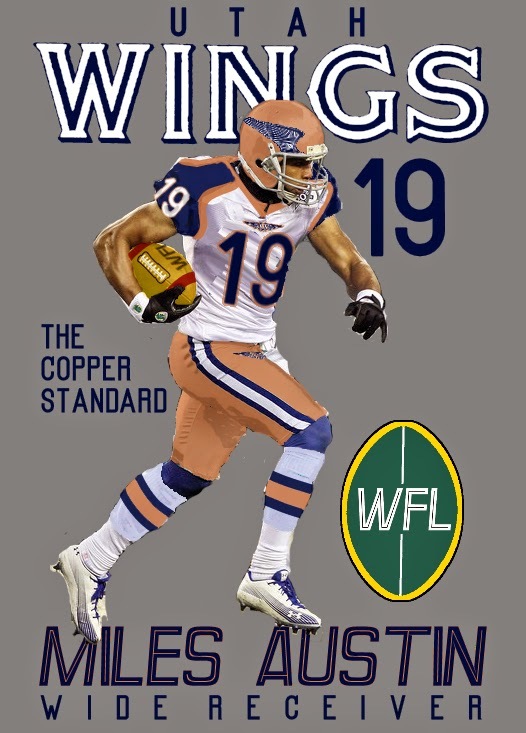 The San Antonio Wings were in financial trouble through out their time in Texas when a consortium between Larry H. Miller and Rio Tinto agreed to purchase the team and move it to Utah. 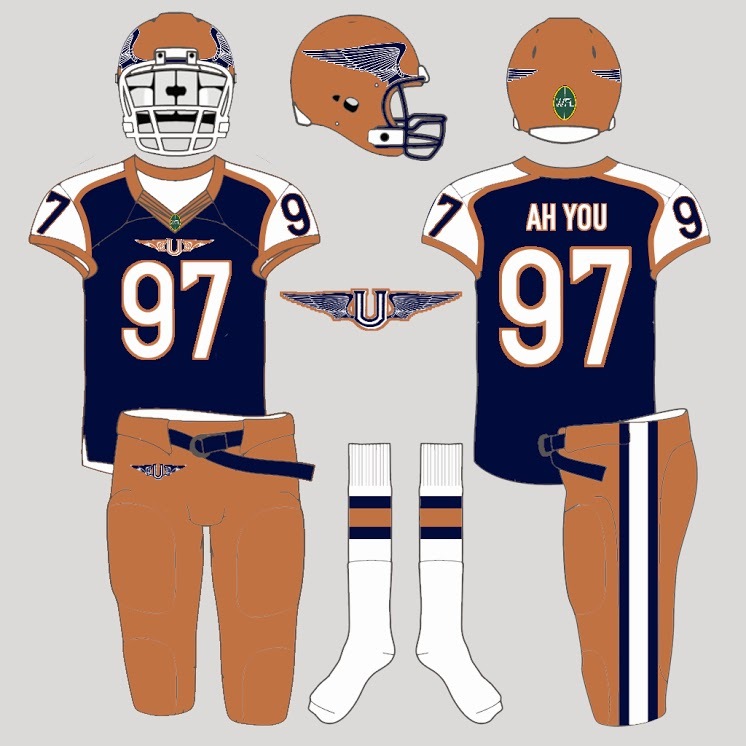 The squad adopted Utah Jazz Blue and Copper (for Rio Tinto) as their main colors.